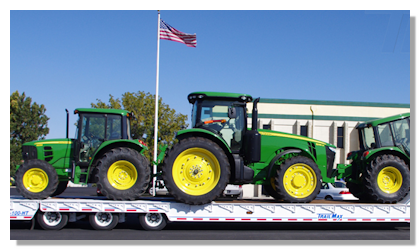 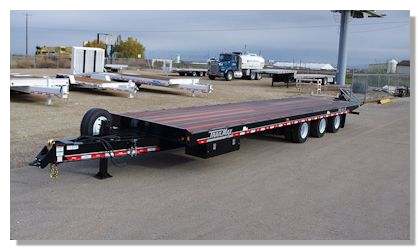 TrailMax trailers are designed to transport light and heavy equipment for the construction and agricultural industries, as well as state/local and governmental agencies. 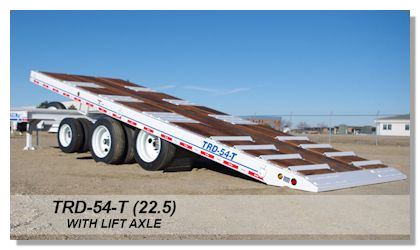 TrailMax TRD-54-T (22.5) with Lift Axle in front location. 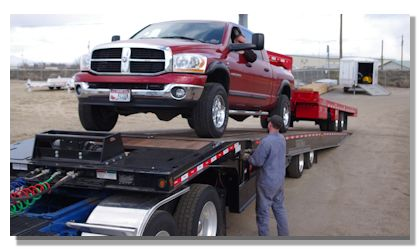 Video will show the raising and lowering of the axle. 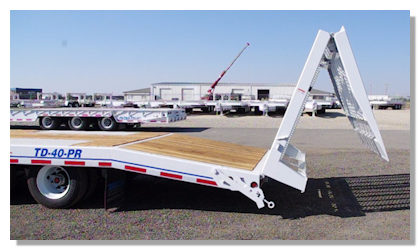 TRD-54-TA Traveling Axle Trailer. 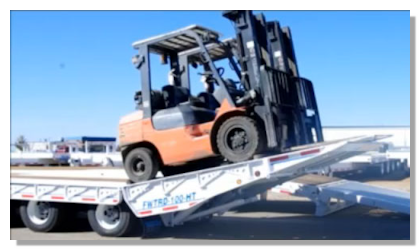 This video demonstrates the unloading of a large industrial forklift. 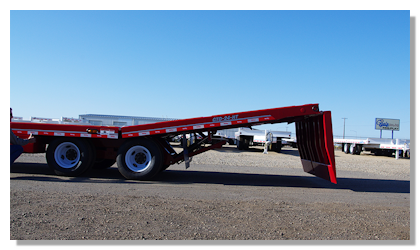 The action you will see is moving hydraulic axles and deck. 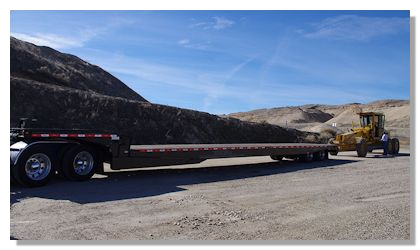 FWTD-70-TA loading and unloading a road grader at a local sand & gravel pit. 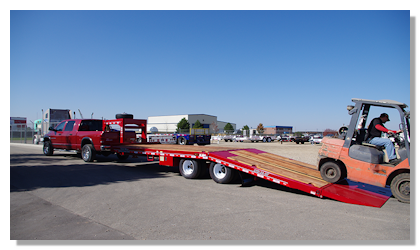 GTD-24-HT hydraulic tail trailer ramp test with a 10K forklift. 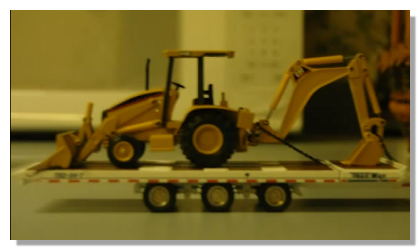 Operation shows how the tail can support the load as well as being able to transport the load on the tail. 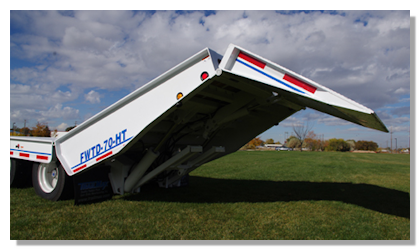 Hydraulic Tail operation on a GTD-24-HT. 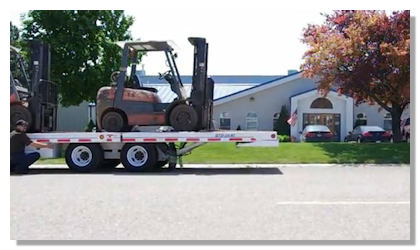 Testing of the new Heavy series Faceplate. 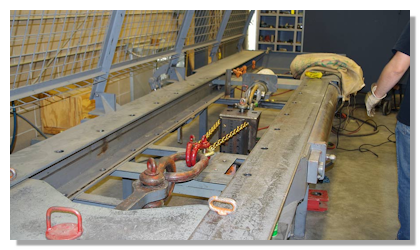 Boise Rigging tested the Faceplate at their facility on a large hydraulic testing machine, which generates a report in foot lbs. 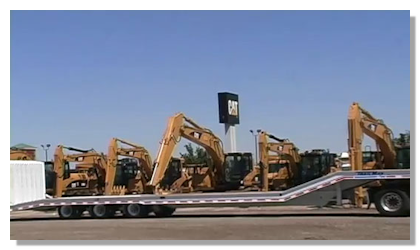 to failure. 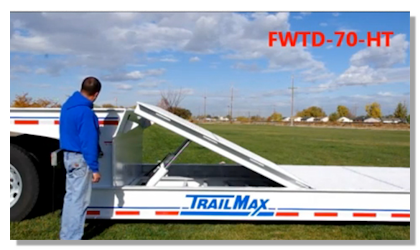 FWTD-70-HT Hydraulic tail trailer - forward ramp demonstration. 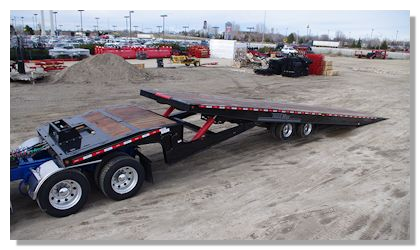 The somewhat rare 1/48 scale CCM brass Trailmax TRD-54-T tag trailer. 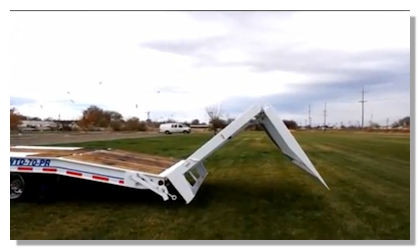 Click on a picture or product name to view the video.